Billboards may never be the same. 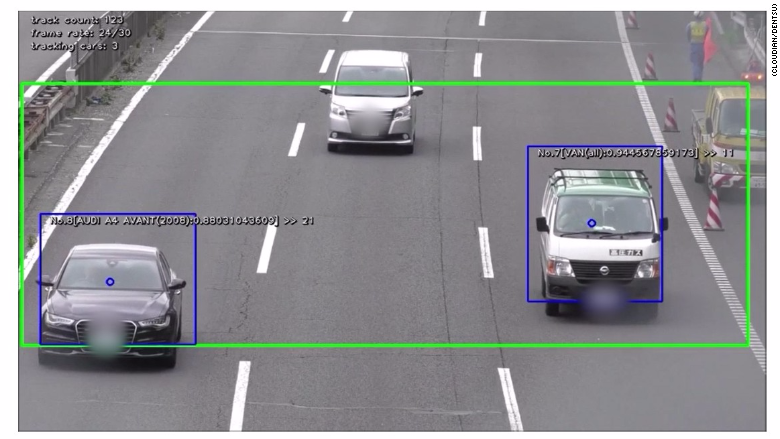 By early fall, a billboard in Tokyo will automatically identify the make and model of vehicles driving by it to display a targeted advertisement. "The ad could come up with 'Hey you in the Mercedes, you could be driving this [instead],'" said Paul Turner, chief marketing officer with Cloudian, which is working with the Japanese company Dentsu on the project. A camera on the billboard will look hundreds of meters down the expressway to identify vehicles and present a corresponding ad for about five seconds. By targeting ads to specific types of vehicles, the companies should be able to charge a higher rate to advertisers. Highly-targeted ads are the norm while we browse the web and use apps, but such approaches have not largely entered the broader world yet. This approach, which is reminiscent of the sci-fi thriller Minority Report, is a reminder of how digital technologies and the personalization they offer will increasingly creep into all aspects of our daily lives. The two companies ran a pilot test in Japan earlier this year and said they were able to recognize the make, model and year of cars with 94% accuracy. 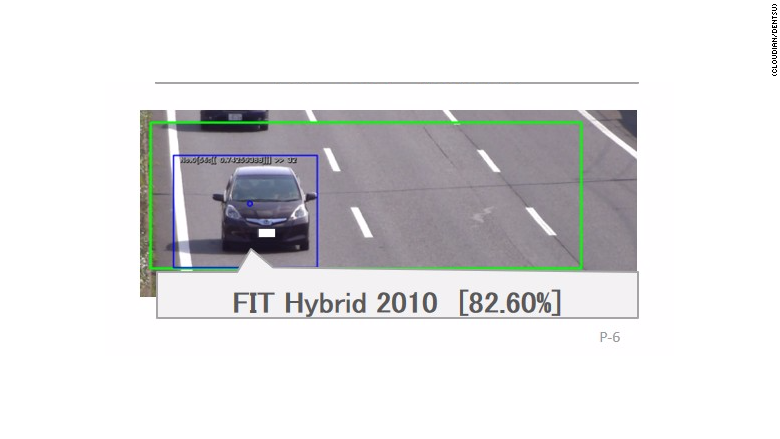 In this example the system recognizes a Honda Fit. To become so accurate, the companies trained a computer system by showing it hundreds of thousands of vehicle images taken from used car websites. As Dentsu and Cloudian's computers saw more and more images of a specific type of automobile -- averaging about 4,000 per car -- the system learned to recognize the features that distinguish a given type of car. This process relied on a type of artificial intelligence called deep learning, in which machines recognize patterns in huge piles of data. Currently the system is capable of identifying 200 different vehicles. One potential challenge for the technology is picking a relevant advertisement when a variety of types of cars are driving by. Spokesmen at both companies said in such a circumstance they would see what type of car their advertisers were most interested in targeting, and display an ad for that driver. They suggested that one potential ad campaign could be targeting long-range truck drivers who are looking for a place to eat and sleep. But don't be surprised if one day while driving your old car, a billboard recommends updating to this year's model.